Over the past few years the popularity of condominiums has increased. The units are generally more affordable than a town house or detached single family residence. Condominiums offer residents many of the advantages of community living with the advantages of home ownership. I wanted to share 10 facts you should know about condos and condo associations. Members of a condominium association own their individual units and a percentage interest in buildings, common areas and amenities. This differs from members of a typical homeowners association (generally town houses and detached homes with yards) who own their homes and the lots on which they sit as well as an individual interest in common areas such as streets and recreational facilities. Amenities can include gated security, fitness facilities, tennis and basketball courts, pools, biking and walking trails, concierge services, recreation/party rooms, protected parking and more. Condominium living reduces the burden of maintenance on individual homeowners. Residents are spared the work of cutting grass, raking leaves, shoveling snow, cleaning gutters, repairing roofs and painting exteriors. Instead, they share the cost of having these services provided by their associations. Condominiums enable more efficient land use—an especially important attribute in highly developed urban and suburban areas. Condominiums are often less expensive than single-family homes, giving first-time home buyers, low-income families and retirees the opportunity to own instead of rent. Prices can range from less than $100,000 in some areas to millions of dollars in choice urban and recreational settings. Prices depend on the market, location, unit size, association services and amenities and unit upgrades and customizations. 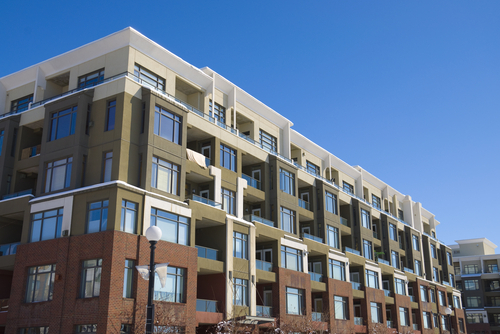 Condominium assessments vary significantly depending on services and amenities, the condition of the building and the association’s fiscal health. Rules are developed to protect property values and safeguard the best interests of the community as a whole. Rules can apply to noise, pets, renovations, parking, rentals, and even window treatment (since they can be seen from outside the building). Rather than acquiring land and constructing new buildings, some developers convert apartment complexes into condominiums. Some states require renters displaced by conversions to be given the first opportunity to buy condominiums in that complex. There are more than 300,000 association-governed associations in the United States. Condominium communities constitute 38-42 percent of this total. To learn more about mem property management condominiums and coop property management services, contact (201) 798­-1080 today.